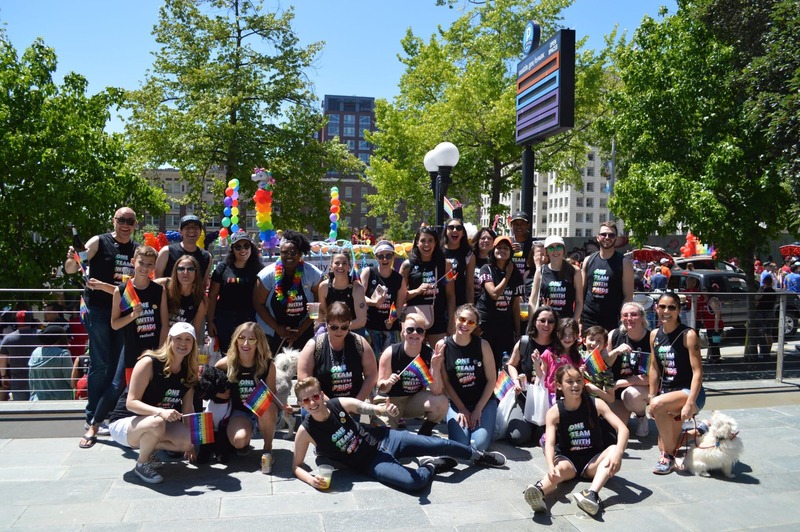 For the second year in a row, RealSelf employees across the company gathered in downtown Seattle with friends and families (and pups!) to celebrate in Seattle’s Pride Parade. As with most good Sundays, it started with mimosas and breakfast goodies. Then we hit the streets — donning our “One Team with Pride” RealSelf t-shirts and handing out rainbow-inspired swag for cheering bystanders. 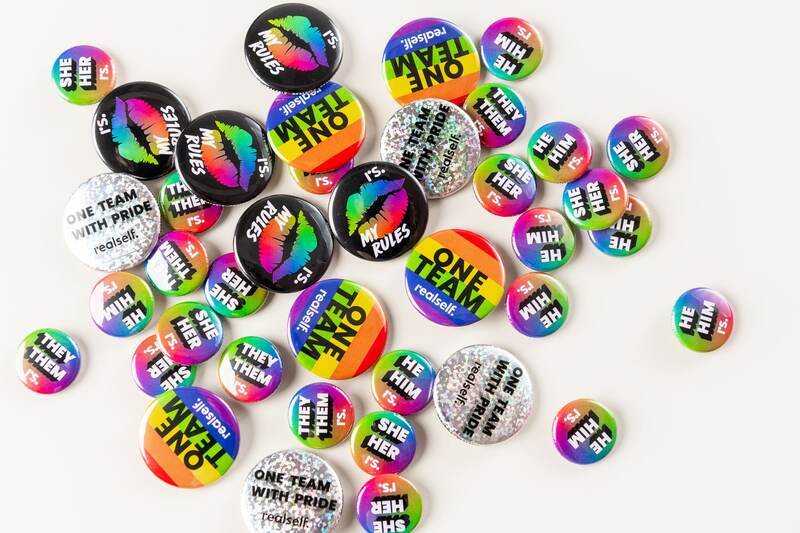 Parade swag included a variety of pins. 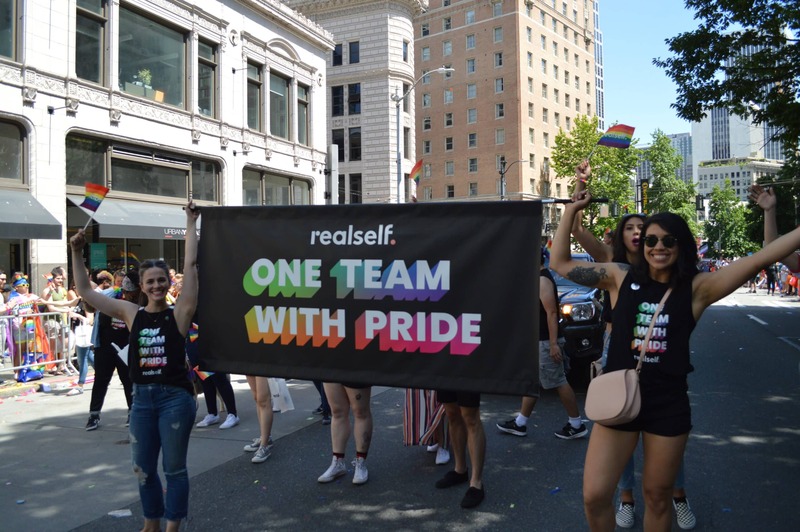 We take pride in celebrating diversity and inclusion at RealSelf. If you do too, check out our open positions and apply today.